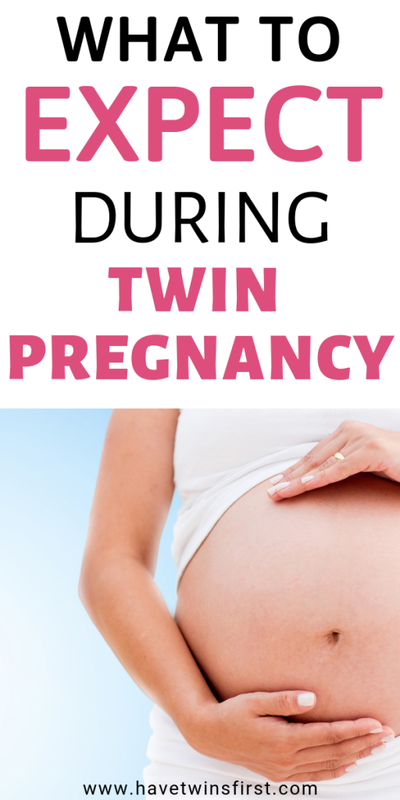 In this post I want to share some tips on what to expect during your twin pregnancy experience. I will be reviewing each trimester and pointing out some of the major differences between a twin pregnancy and a singleton pregnancy. As someone who has been through both a twin pregnancy and a singleton pregnancy. I thought for sure I would be less tired and nauseous for my singleton pregnancy. This was NOT the case! Even though I did not personally see a difference in how tired or nauseous I was, that will not necessarily be the case for others. 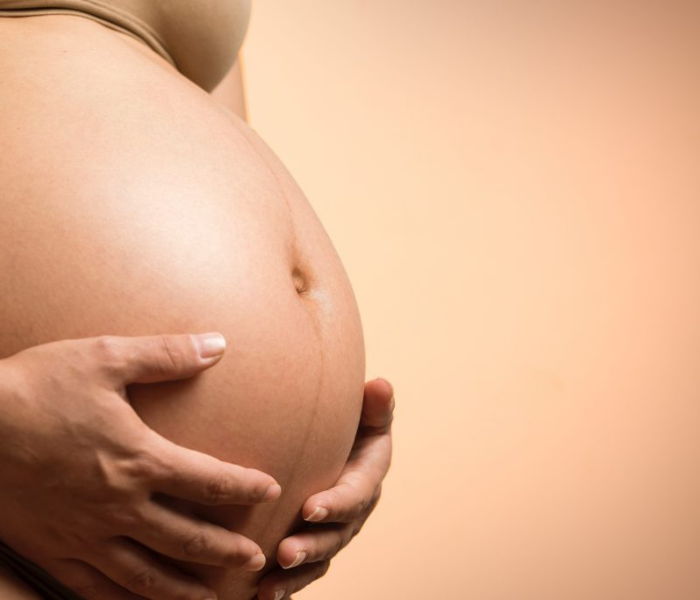 Essentially, any and all pregnancy symptoms have the potential to be magnified throughout your twin pregnancy. Now, some couples do not even know they are having twins at this point. But, maybe you’re like me and had bleeding in the first trimester (and still had a successful pregnancy). This caused me to have an unplanned ultrasound at only 5 weeks pregnant. Since it was not planned I was alone at my appointment and found out I was having twins then. It was definitely strange to have to call my husband and tell him the news. The first trimester was always the scariest time for me because the risk of miscarriage is much higher. Of course, you’ll probably never stop worrying. But, it is easier to relax a little bit more as each week in the first trimester passes by. 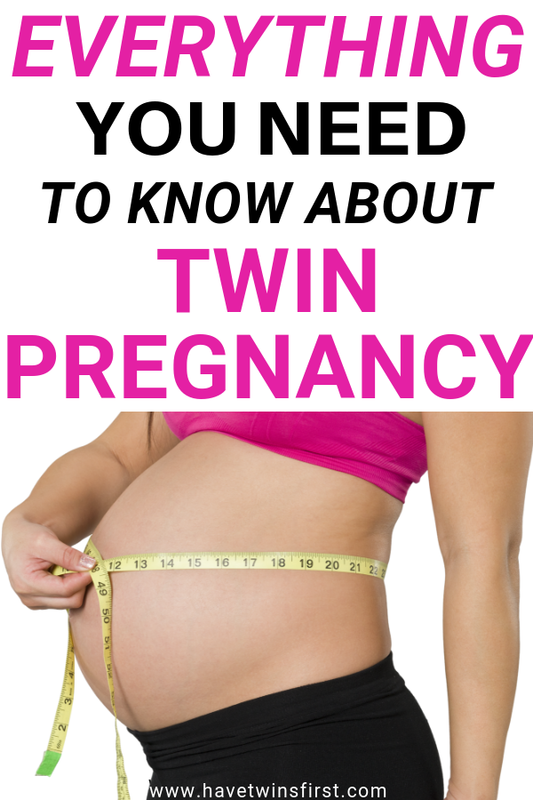 Overall, besides potentially finding out you are having twins, there are not many differences between the first trimester of twin pregnancy and singleton pregnancy. A lot of multiples pregnancies are the result of couples who have had to use assisted reproductive technology. Since I am one of those people, I want to point out some additional things you will deal with if you used IVF to get pregnant with twins. With IVF there are a bunch of medications you will take leading up to getting pregnant and also once you are pregnant. The main one I remember taking after being pregnant was progesterone. When you do IVF your body has not gone through it’s normal menstrual cycle. Progesterone is necessary to stay pregnant, since your body does not know to produce it on its own. After the first trimester, the progesterone is not necessary any longer. I am aware of two options for progesterone. Tablets you insert vaginally or progesterone shots. Personally, I started with the tablets, but had bleeding so I switched to the shots. My husband gave me a daily injection of progesterone in the lower backside. This was definitely not fun, but obviously it is so worth it. Another thing that happens with IVF is being monitored in the beginning of your pregnancy through the fertility center. Your doctors at the fertility clinic will decide when they are ready to transfer you to your OB/GYN. Typically, this will be around 8-12 weeks. What should you expect during the second trimester of a twin pregnancy? For starters, this might be the time you start spreading the word that you are pregnant with twins. Personally, we made the decision to share the news with our immediate family pretty much as soon as we found out. We told extended family and friends in the beginning of the second trimester. In the end it’s up to you when and how you will tell your family and friends. Now that you are in the second trimester, if you had nausea and exhaustion it will hopefully start to slowly subside. Unfortunately, there are no guarantees it will go away, but for most, this is the case. Some things that will probably be different during your twin pregnancy experience rather than your friends with singleton pregnancies are the number of doctor’s appointments you go to and the number of ultrasounds you receive. Twins are a higher risk pregnancy and therefore, your babies will be monitored much more closely. At my doctor the ultrasounds were every 4 weeks and as the pregnancy progressed the ultrasounds increased to every 2 weeks. Eventually ultrasounds were once a week starting around 34 weeks. I highly recommend you take a twins class either at your local hospital or online during the second trimester. Depending on what’s covered in the twin class, you might also want to take a regular birthing class. For example, we took a twins class at the local hospital. It was great, but labor and delivery was not as in depth as I would have liked. I ended up also watching an online labor and delivery class to prepare. In the end, it probably would have been better to attend an in person labor and delivery class. Although you might have already started thinking about this in the first trimester, you will also need to start prepping for the baby gear you will need when the twins arrive. If you are having a baby shower, start making your baby registry. As you may or may not know, I highly recommend making two baby registries. One on Amazon and one at Target. Lastly, for the second trimester you will want to start getting the nursery ready. Even though you might not need the nursery right away, when the babies arrive, you will not have time to worry about it. So, do your best to have it ready before your twins are born. By the third trimester moving around will become more and more difficult. One of the biggest differences for my twin pregnancy experience versus my singleton pregnancy was the amount of swelling in my body, particularly my ankles. Some of my shoes did not fit anymore and I would come home everyday from work and elevate my legs for some relief. I even had to elevate my my legs when I was sleeping. The extra effort to carry around your growing babies, plus increased difficulty in sleeping lead to the return of the exhaustion you might have had in the first trimester. As mentioned above, you will see an increase in doctor visits until your babies finally arrive. Even my maternity clothes stopped really fitting near the end of my twin pregnancy. So don’t be surprised if that happens to you too. I was able to make it work because I was not interested in spending even more money on clothes I would wear for a very short time. At the beginning of your third trimester I recommend packing your hospital bag. One less thing to worry about in case your babies come earlier than expected. Lastly, since twins come early, this trimester will be shorter than the other two. That pretty much covers what you should expect from your twin pregnancy experience. One last thing that I didn’t mention because it was consistent throughout all trimesters. It’s not a huge surprise, but you will need to pee ALL THE TIME. The thing that I didn’t expect was the need to pee a lot was present in the first trimester too. Don’t expect to be able to sleep through the night without at least 1 and maybe 2 bathroom breaks. I think this is the body’s sneak peak of what it will be like to be awoken multiples times at night once the babies arrive. Now that should cover everything I can think of for what to expect from your twin pregnancy experience. Good luck twin mama, you got this! If you found this article helpful please share it on Pinterest or Facebook.